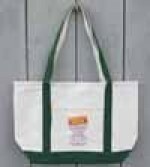 Heavy weight 22 oz white canvas bag with sturdy green straps. It has a handy pocket on the front with the new logo in purple, red and yellow. Monroe Street Books, Middlebury Vermont printed underneath. Excellent quality bag for all your toten' needs! Nice Glossy black ceramic mug. Nothing better to go with your book than a steaming hot cup of coffee, tea, hot chocolate, or drink of your choice. Browsing is Arousing and Monroe Street Books, Middlebury VT printed on one side, our famous "browsing man" on the other. White T-Shirt made with pre-shrunk cotton. 1st Browsing is Arousing logo on the front. Comes in M, L.